Traybakes & bars are low effort, quick, easy & delicious. From brownies, flapjacks, granola bars to blondies and more. They make perfect bake sale treats! 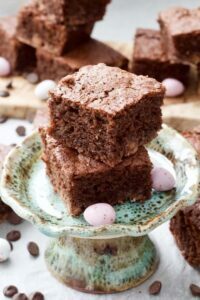 Whether it's something healthier like these Healthier Date & Banana Flapjacks or something a bit more indulgent (White Chocolate Blondies with Mini Eggs) you will find it here.